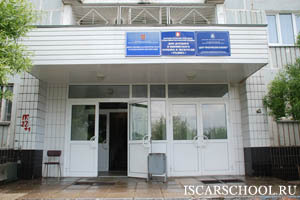 This summer 1st ISCAR Summer School arranges housing for international participants in university’s hostel. It’s address – Moscow, Chechulina street, 3/2, Hostel of Moscow State University of Psychology and Education (it is located on the second and the third floor). For participants in the morning and the evening will be organized transfer. You can also go to NOVOGIREEVO metro station, then take a bus No. 645 or minibus No. 645m (about 15 min). 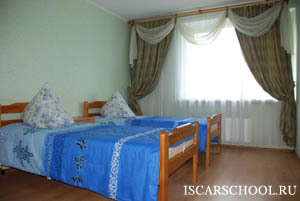 Each flat includes two rooms – both are bedrooms. The first has two beds, locker and nightstand, the second – three beds, locker, nightstand, table with a chair, refrigerator plus toilet and bathroom, which are separated. Also each floor has common kitchen for students with tea-kettle, stove, a small table. Also the student-zone have two rooms for the rest – one with a pair of athletic trainers, another with TV. 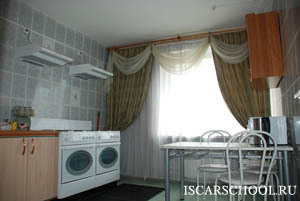 In hostel you can also find – internet, washing machine (2), coolers (hot and cold water), tableware, towels and bed sheets. Unfortunately there is no phone to communicate with city, no hairdryers. There is supermarket 200-300 m nearby. You can stay in the hostel free of charge during the entire duration of the school and for 2 additional days more. If you have a desire for an additional fee you can stay on more number of days (30€ per day).